Volunteering provides a number of benefits to the volunteer. When you volunteer, you are not only helping others, you are helping yourself! Whether you are currently employed or looking for a paying job, volunteering can help you meet some of your personal and professional goals. If you are already employed, volunteering may actually help reduce stress, some studies have shown. It may seem like an oxymoron, that adding more work to your workload can actually reduce job-related stress, but apparently giving back to the community and doing something good for other people can be a stress reliever. Additionally, there are many other professional benefits from volunteering, from advancing your current career or even finding a new job. Volunteering can actually help expand your professional network. Whether you are employed, or unemployed, professional networking is helpful for career advancement, or for identifying potential job opportunities through added contacts. Growing your network is an excellent way to increase your chances for career success. You may even be able to find someone who would be willing to mentor you. A mentor could be someone in your role or in your desired role, who could take you under his or her wing and help get you acquainted with the healthcare profession. Volunteering can also be a great way to try out an employer before you commit to working there for the long term. By volunteering, you can dip your toe into the proverbial pool, and learn about the work environment, the culture, and personalities of the employees, to see if working there is a long-term fit for you. This could help prevent you from being a "job hopper" because you will already be familiarized with the setting ahead of time. You may also be able to shadow a professional for a day, to see what the "typical work day" is like for someone in your desired role or the role you are working towards, whether it's a physician, nurse, allied health professional, or administrative role. 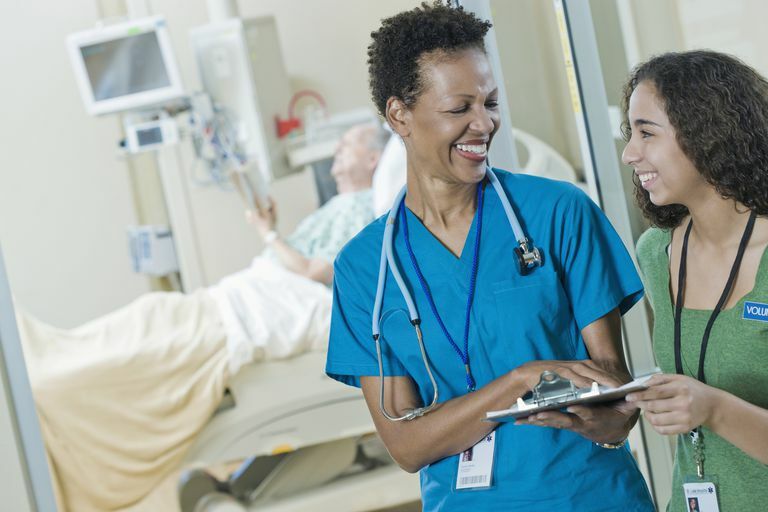 Shadowing, or doing a preceptorship, can provide an invaluable perspective for you to help determine if the health career you think you want is the best option for you. Volunteering may also be a way for you to learn new skills, terminology, or best practices. As a volunteer, you are adding qualifications to your background and experience that you can then apply to your current or future paying jobs. Additionally, your volunteer activities add depth to your resume and show that you are a well-rounded individual. In fact, many colleges and employers specifically look for volunteerism and regard it highly when selecting students and employees. There are several ways to identify volunteer opportunities. Several websites have been created specifically to help match volunteers with openings and needs for volunteer assistance, such as VolunteerMatch.org. Additionally, you may want to register with your local hospitals and medical facilities to see what healthcare volunteer opportunities are available in your area. Typically, before you can volunteer, there will be a screening process you will have to pass, and an orientation to attend. Some facilities may require drug screens and lifesaving certification as well. Additionally, national organizations such as the Red Cross, or healthcare associations such as the American Heart Association, American Cancer Society, and many others may need help at their local offices or for special events or fundraisers in your area. Another great resource for information about healthcare volunteering is the Association for Healthcare Volunteer Resource Professionals.